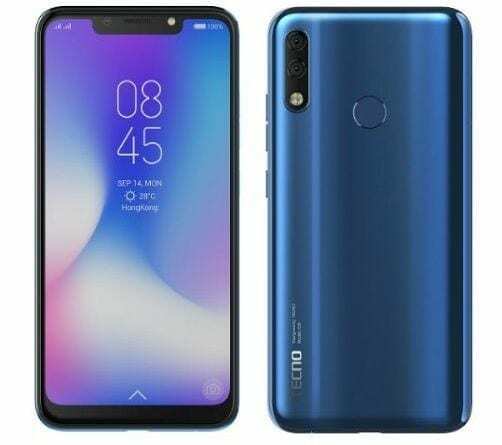 Tecno Camon 11 Pro VS Tecno Camon i 2X: What is The Difference? The Tecno Camon 11 Pro and the Tecno Camon i 2X are similar smartphones in terms of design and display. Both phones look much alike but on their hardware, they sport different specifications. So we will try to figure out the difference between the Tecno Camon 11 Pro and the Tecno Camon i 2X. In terms of design, you can hardly differentiate between the two phones. They are both blessed with a dual rear camera and they also have a similar notch on the front. You will get a rear-mounted fingerprint scanner on the back and they measure similar 153.7 x 74.5 x 8.5 mm in dimensions. It’s only on the weight that the Tecno Camon 11 Pro weighs 158 gram, while the Tecno Camon i 2X weighs 178 gram. Both the Tecno Camon 11 Pro and the Tecno Camon i 2X has the same screen display size of 6.2 inches with a resolution of 720 x 1500 pixel and 268 PPI density. They also have a display protection of Asahi Dragontrail Glass and IPS LCD capacitive touchscreen. Users will be getting the same viewing experience on both phones and they will offer average content viewing as well. As for the camera, the Tecno Camon 11 Pro has a dual rear cameras of 16 MP (f/2.0, AF) + 5 MP (depth sensor) with quad-LED flash, while the Tecno Camon i 2X has a dual rear cameras of 13 MP (f/1.8, AF) + 2 MP (f/2.4, depth sensor) with quad-LED flash as well. Both phones support 1080p@30fps videos resolution. For selfies, the Tecno Camon 11 Pro has a front facing camera of 24 MP with f/2.0, 1080p@30fps, FaceID, and dual-LED flash, while the Tecno Camon i 2X has a front camera of 16 MP with (f/2.0, 1.28µm), and 1080p features. On the camera, the Tecno Camon 11 Pro will take better photos than it’s rival. The Tecno Camon 11 Pro and the Tecno Camon i 2X has the same MediaTek MT6762 Helio P22 chipset with Octa-core 2.0 GHz processor and PowerVR GE8320 for graphics. Both phones are powered by Android 8.1 Oreo operating system and they also have support for dual SIMs with 4G LTE network. The Camon 11 Pro has a huge RAM of 6GB with an internal memory of 64GB, while the Camon i 2X has a RAM of 4GB with an inbuilt memory of 64GB. You can also expand their memory using micro SD card. The Tecno Camon 11 Pro and the Camon i 2X has the same nonremovable battery capacity of 3750 mAh. On the price, the Camon 11 Pro will cost around $220, while the Camon i 2X will sell at a price of $172. On the overall, the Tecno Camon 11 Pro will slightly outperform the Camon i 2X and it will also take better photos as well. Apart from that, both phones are available in different countries. So the Camon 11 Pro is the Nigeria version while the Camon i 2X likely the Indian version.